Everybody's favorite wizard not only outwits evil Lord Voldemort and saves the day at Hogwarts School of Witchcraft and Wizardry - he also casts quite a spell in Vietnamese. "Harry Potter and the Order of the Phoenix," the newest book in J.K. Rowling's series, was released in Vietnam on Monday, making the communist country the first in the world to put out an authorized translation. But young Vietnamese readers will have to visit stores weekly to find out how much trouble Harry gets himself into this time. The much-anticipated book is being released as a 15-part series, for about 30 cents an installment, so that even poor children can afford to enter Harry's magical world. "I have read all the Harry books. I find it interesting because Harry has many characteristics of schoolboys like us," said Nguyen Vu Thang, 14, picking up his copy at the Thang Long bookstore. "All my friends are keen on Harry Potter." The serial has been flying off the shelves in Hanoi, said sales clerk Nguyen Van Vinh. "We have sold about 100 books during my shift today. We did not have enough books to sell in the past." The Tre (Youth) Publishing House signed a contract last week with Rowling's agent, Christopher Little Literary, for the copyright to translate the book. In a country where counterfeit compact discs, DVDs and computer software are available for pennies on nearly every street corner, getting it out fast was key. "We have to release the book quickly, because you cannot tell whether private individuals may release it without the copyright," said Quach Thu Nguyet, director of the Ho Chi Minh City-based publishing house. The Vietnamese publisher began translating the book before the contract for the rights was signed, said Neil Blair of the London-based agency. Eager fans in Germany and China have already begun circulating unofficial translations of the book on the Internet, unwilling to wait for official translations due out later this fall. 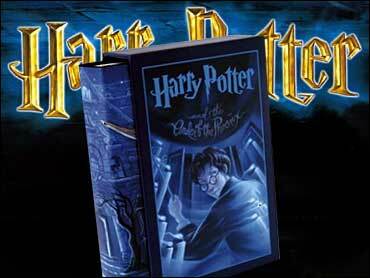 The books, which have sold more than 190 million copies, have become a popular target of pirates. India, Bangladesh, Pakistan and Iran are major copyright offenders, but Blair said perhaps the worst offender was China, where a fake book titled "Harry Potter and Leopard-Walk-Up-To-Dragon" was released last year bearing Rowling's name. The Vietnamese publishing house has translated all the Harry Potter books and plans to print 40,000 copies of "Order of the Phoenix," compared to 30,000 for the earlier ones in the series. Children's books typically sell about 5,000 copies in Vietnam, Nguyet said. American-educated Vietnamese translator Ly Lan persuaded the publisher to take a chance on the boy wizard and translated the first four books in 2001. In Vietnam, publishing houses seldom translate foreign-authored fiction since there is generally little public interest. Getting approval from Vietnam's conservative censors is also difficult. But here, as elsewhere in the world, Harry Potter's charm won over the public. "I think the young people here, they're always eager to know about the world," Lan said. "They want to read the same books, sing the same songs and wear the same clothes, but not many of them can read English or have the English book available."